9th Anniversary of Full-time Travel - Reflections! 9th Anniversary of Full-time Travel by RV and Sailboat – Reflections! Today is our 9th anniversary of traveling full-time. We left the comfort and security of hearth and home on May 22nd, 2007. We’ve spent this morning looking at old photos and reminiscing, and it’s amusing, sweet and very nostalgic. We are still the same people we were nine years ago, but we have changed and grown immensely, and our lives have taken delightfully unexpected twists and turns. Time flies when you’re having fun – Today is our 9th Anniversary of traveling full-time!! Here we are in our first year…a little green behind the ears but so excited to be free! We’ve also mastered a lot of things related to travel, RVing, sailing, and living, and it’s all due enrolling in the School of Hard Knocks where we signed up for classes taught by the incomparable professor, Experience. I know many of our readers are planning their eventual escape to a life of freedom on the road or at sea, and I know that in reading blogs like this one and many others, it is really easy to forget that all those exciting travel stories began somewhere, and in a lot of cases, like ours, that starting point was very humble. Nine years later…seasoned travelers, but still so excited to be free! I think a lot of future travelers look at the folks that are out there doing it already and want to jump into their lives full-blown and skip the learning curves and mistakes. I know I did! I read lots of magazine articles and books by sailors and other travelers and watched lots of inspiring videos before we left, and I wanted to blink myself into their shoes. And I figured that by doing a lot of reading I could bypass all the silly mistakes they’d made. 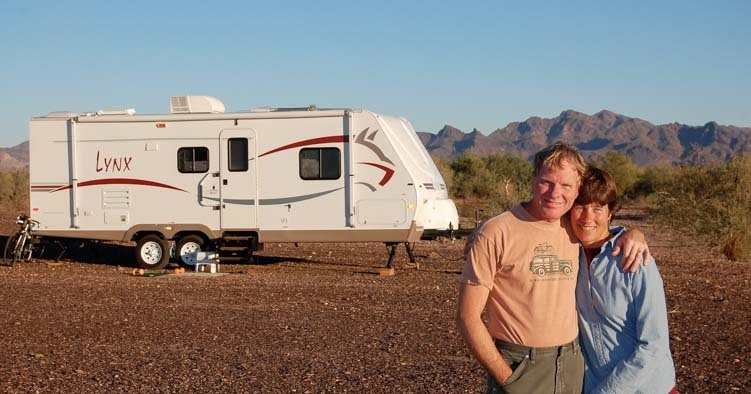 Our first full-time RV – a 2007 Fleetwood Prowler Lynx Travel Trailer, seen here on its first day! But I’m really glad for all the notes we’ve taken in our classes with Prof. Experience and for all the difficult assignments and horrifyingly challenging exams he has given us over the years, and I’ve been thinking about a few of them today. We took an enormous leap of faith on this day nine years ago, and we had a very busy, euphoric, scary and thrilling period of downsizing in the weeks leading up to our launch. 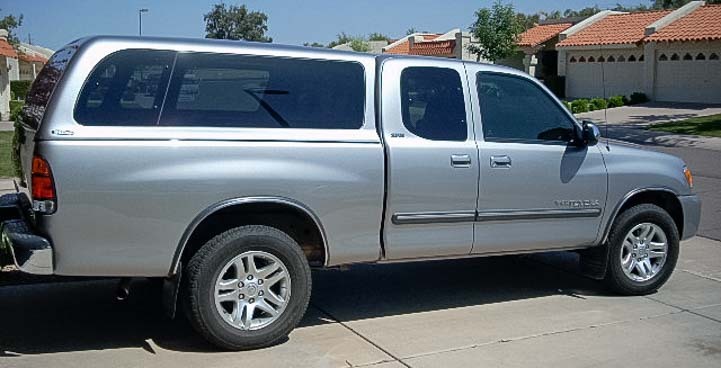 Everything we owned had to fit in the back of our ’04 Toyota Tundra or in an 11′ x 5′ shed in a friend’s back yard before we could drive 1,000 miles to pick up our brand new, bought-over-the-internet 2007 27′ Fleetwood Prowler Lynx travel trailer. Everything we would be taking in our travels had to fit into the truck bed! Unfortunately, during our first days of testing out our our new home in an RV park attached to a gas station a few miles from the dealership, we discovered that because the trailer had sat on the dealer lot in the wild Texas rains for a while, and a small leak in the RV refrigerator vent had resulted in mold growing under the refrigerator!! If downsizing and evaluating all of our worldly possessions and choosing which ones to keep and which to toss hadn’t been stressful enough (and, as part of that, reviewing our entire lives up to that point — a very emotional task), driving 1,000 miles to move into a trailer riddled with mold could have put us over the edge. 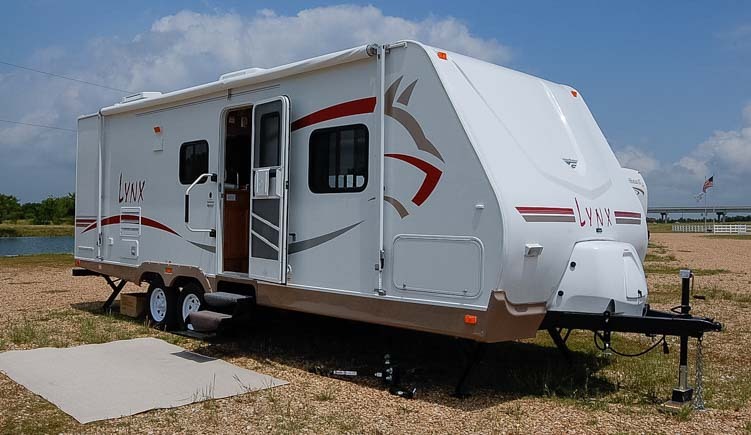 But we gathered our wits together, made our plea to the dealership (Marshall’s RV in Kemp Texas), and fortunately, they were extremely accommodating and swapped out the rig we had bought for an identical one they had just received from the manufacturer the week before. We hit bumps in the road right off the bat with mold in our brand new rig. The dealer let us swap it for another! Like most full-time travelers who have taken the plunge and hit the road or sailed off to sea, our memories of our first months of travel are as vivid today as when they happened 9 years ago. After staying in RV parks in Texas, and struggling to figure out where the RV parks were, which ones were nice, and how to fit our rig into the small spaces, we gave boondocking a try one night in New Mexico. We had no idea how boondocking worked, and we weren’t set up for it yet, but we just parked randomly and went to bed. We figured that if we woke up in the morning, still alive, and without having gotten a knock on the door in the middle of the night, boondocking was A-okay. Lesson learned? In hindsight, we would never ever park in a place like that now. We were so close to the road the rig swayed every time a car went by. But what the heck did we know then? Nothing!! And thank goodness we gave it a try! The only thing that approached our rig that night was a herd of curious cows who came by in the morning. A pair of boondockers was born that night, and our lives were changed forever! Our first boondocking spot. Hmm… we had a lot to learn about finding good campsites! In New Mexico we stopped in a coffee shop where we met an unusual fellow who made and sold dream catchers. 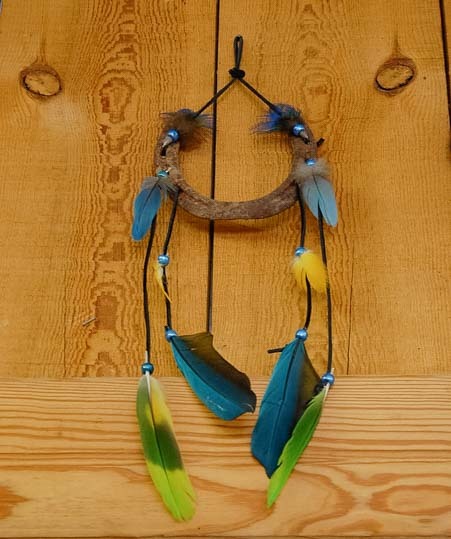 He had a beautiful one decorated with macaw feathers, and he offered it to me for free for good luck in our new full-time travels. I was really touched by his generosity, but I knew that if we started collecting things, our new little buggy would be overflowing in no time. So I sadly turned him down and satisfied myself with a photo. A theme of simple living without accumulating stuff had begun. How many cool souvenirs could we keep in this lifestyle? 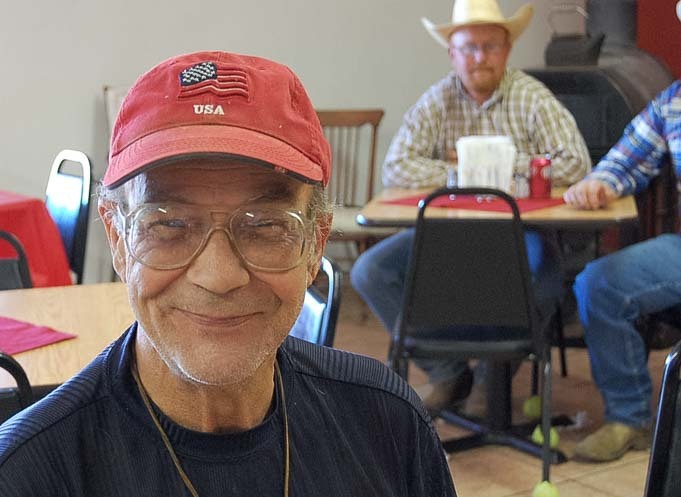 As I chatted with him, two cowboys came into the coffee shop. We had never seen real cowboys before, and the cling-clang of their spurs as they walked made us smile. Wow!! We were seeing cool stuff!! This is why we went traveling!! Life was awesome!! We discovered that the locals are the most interesting people we meet in our travels. We were on a mission to get to the west coast, because our goal was Vancouver Island. Driving the less traveled roads of New Mexico, we passed through an area that was filled with delightful metal art. Ranch gates were beautifully decorated with metal art, and a whole town was filled with it. Most of my photos of this wonderful area are blurry because we drove through it so fast and didn’t stop. We’d left home just 8 days prior and we were in One Big Hurry. 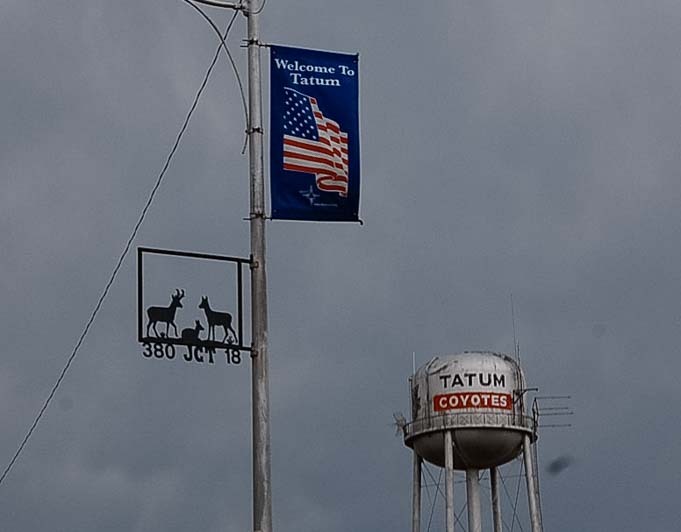 This past fall, we went through Tatum, New Mexico, once again, but this time we stuck around and savored the flavor of this very cool little town and even met one of the artists responsible for the fantastic metal art. We’ve learned to slow down in our tavels: Why rush? Slowing down was a huge lesson for us. Almost nine years later we returned to Tatum NM and explored it for real! 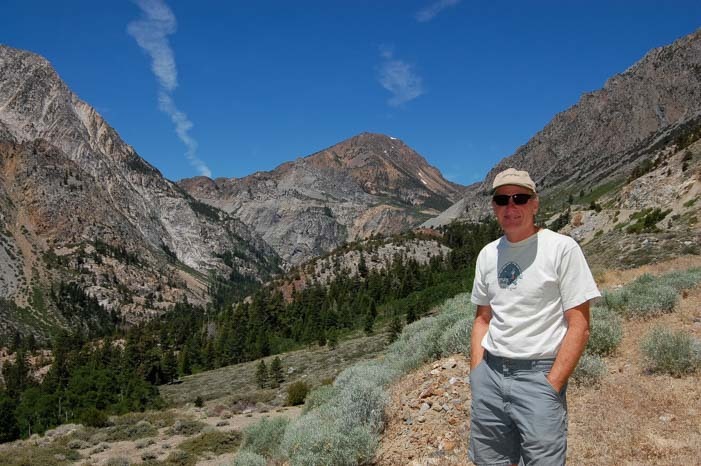 Once we got to California, we swung through a few National Parks at a lickety-split pace. We were ecstatic to be free, to be on our own, and to be living without an agenda (other than getting to Vancouver Island). Looking at these pics now, we can see how the years have passed — we looked so much younger in those days — and it really drives home for us how important it is not to put off your dreams for too long. Life has a funny way of slipping through our fingers, and if there’s one lesson we try to remember each and every day, it’s that life is very precious, very short, and deserves to be lived to the fullest. Looking back, we were just kids then! We had done a ton of camping in our popup tent trailer before we moved into this great big travel trailer, and we knew that we wanted to dry camp a lot in our new lifestyle too. In fact, we rarely got hookups even when we went to campgrounds. This was possible because of a single little solar panel we’d purchased. 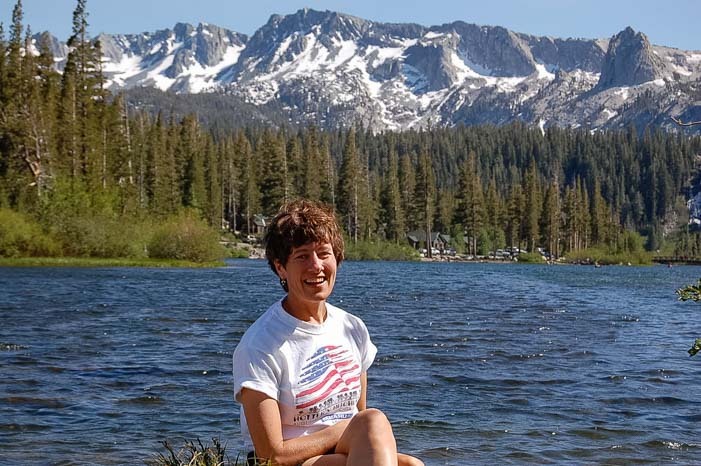 When we stayed in the campground at Mammoth Lakes, California, we were still setting up the solar panel on the ground every day. It would be another few weeks before we’d get to a campground on the California coast overlooking the ocean where Mark would mount the solar panel permanently on the roof and run the wiring to the charge controller and batteries. We’ve learned a lot of technical things about RVing, including how solar power works. I had hopes that we would become experts in various aspects of RVing like solar power. Little did I know that what we would learn about RVing and sailing would soon fill volumes — and actually does on this website as well as in 80 magazine articles! But that incredible acquisition of knowledge and expertise happens to all RVers and sailors who travel for a long time, it’s just that some are more inclined to write it all down. A lot of people put off their full-time RVing dreams because it isn’t the right time. Either the housing market is wrong for getting out from under the house, or gas prices are too high, or the pension possibilities that might be coming after another five years of the grind at work are too good to pass up. Whether they go up or down shouldn’t alter our dreams. Yet I don’t think too many people on their deathbeds look back over their lives and say they should have spent more time in the office. And gas prices — well — you never know about those. 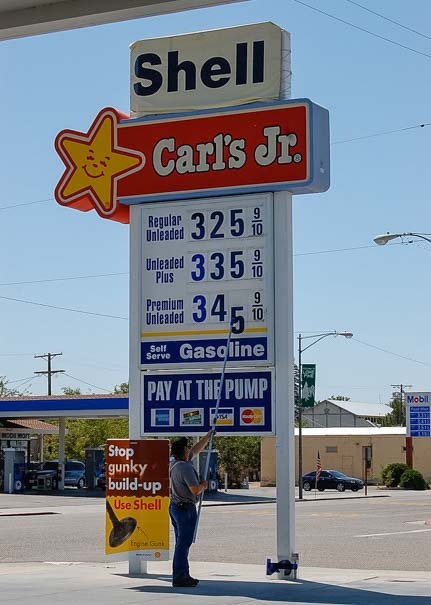 We’ve seen prices bounce all over the place between $1.67 per gallon and $5+ per gallon in our nine years on the road! These old photos are amusing too, because they show just how much the world has changed since we stopped living a conventional lifestyle. In the early days, I would look forward to being in places where I could get a copy of USA Today and read it at leisure over coffee. The only things we still have in our lives today: me and that jacket! 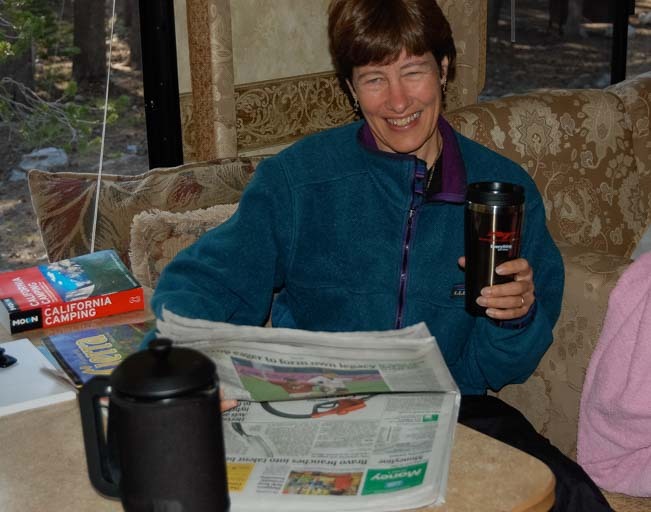 One photo caught my eye because it shows me reading the newspaper with coffee made in a French Press I’d used in an earlier sailing lifestyle where there is unlimited rinse water all around the boat. I quickly ditched the French Press for a Melitta filter. And who reads the newspaper any more? Perhaps the most interesting in the photo is that when we started out, we relied on travel and camping guides to decide where to go and where to stay. What I found, though, was that the travel guides were written by people who didn’t travel the way we wanted to. Their interests and opinions were different from ours, and their five star recommendations were often two stars in our book. So we got rid of all travel guides and now rely on conversations with the locals and fellow travelers, Google searches (clicking on “Images”) to see what places look like, and our own instincts and current mood. It can be scary to think about running off in an RV or sailboat to go traveling, and a lot of that fear has to do with giving up the things you cherish and that you know won’t be the same or even possible on the road. This is different for everyone, but for us it had to do with giving up intense, race-level cycling. 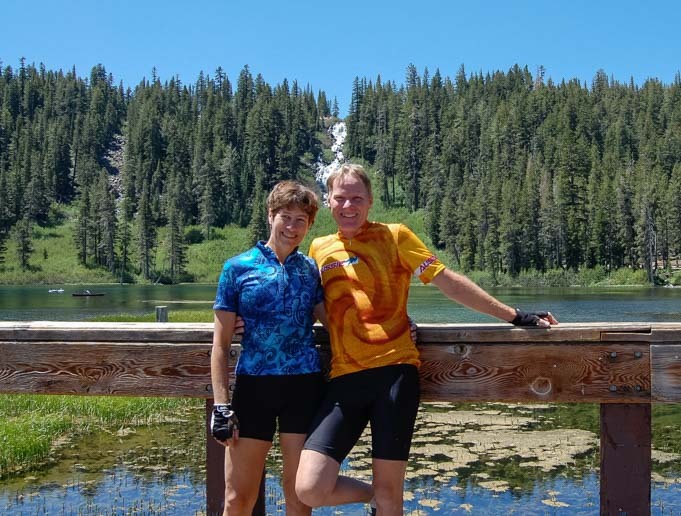 We rode as much as 250 miles a week before we began full-time RVing, and cycling was the focus of our daily lives. In our life on the road now, we ride every so often, but not intensely, not far, and, of course, not with the same group of friends that we once had. Giving up cycling was the hardest part of going full-time for us, and in this early photo we were making a valiant effort to keep it up, but it has proved impossible to do. We miss it, but we wouldn’t trade our nine years of travels for it! We aren’t as fit as we used to be, and we both sorely miss those days of panting for hours on end on gorgeous mountain climbs on 17 lb. race bikes. But would we trade nine years of travel for that fitness level and those hours in the saddle? Never. The experiences we’ve had since we left home have shaped us and taught how to travel — something that takes time and patience — and we’ve been introduced to people, places and things that we never would have seen if we were still cycling those beloved routes round and round our old house. For one thing, we had no idea when we started that we would buy a boat and cruise Mexico! Perhaps best of all, we’ve been able to indulge a new passion that we felt budding in our old lives but couldn’t do much about while living in one spot: photography. When we started traveling, we loved our beginner cameras and used them bunches, but we knew nothing about how to take a photo or process it, other than the basics. Now we live each day looking for beautiful places where we can improve our photography skills and enjoy the splendor of this world as much as possible. Our evenings are spent processing our photos. When we started, we had absolutely no idea our travels would take us in that direction of personal development and fulfillment. 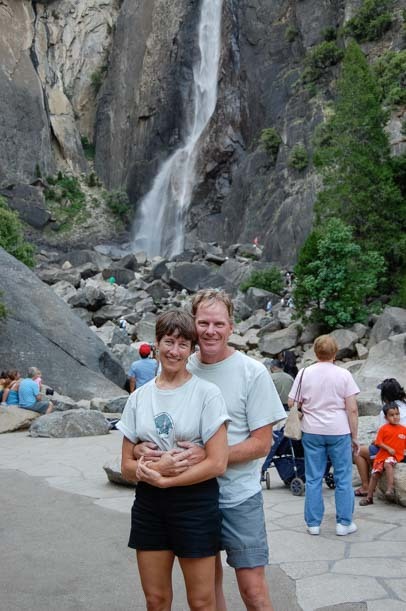 We were so thrilled to visit Yosemite our first year! So, if you are pondering doing some travel, or have a dream of any kind that is lurking in the shadows, let it take wing and fly. Our evolution was gradual and is still unfolding. You can see that our beginnings were modest. 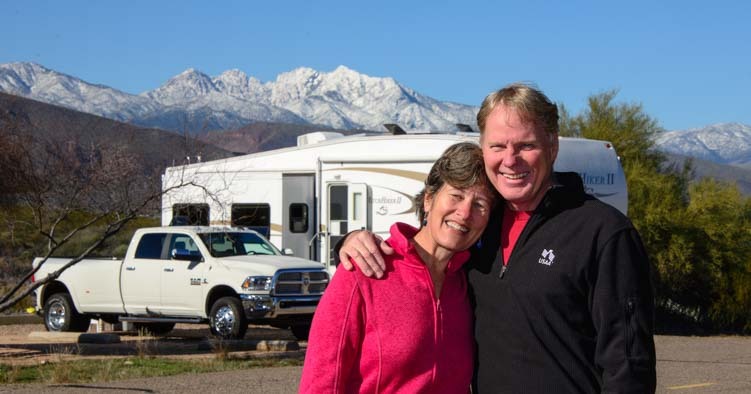 We didn’t jump into this lifestyle as full-blown RV experts or as professional photographers or published freelance writers. We didn’t start with any knowledge about solar power, and we didn’t start with a big fancy rig. All of that took time, and the educational process was extraordinary. 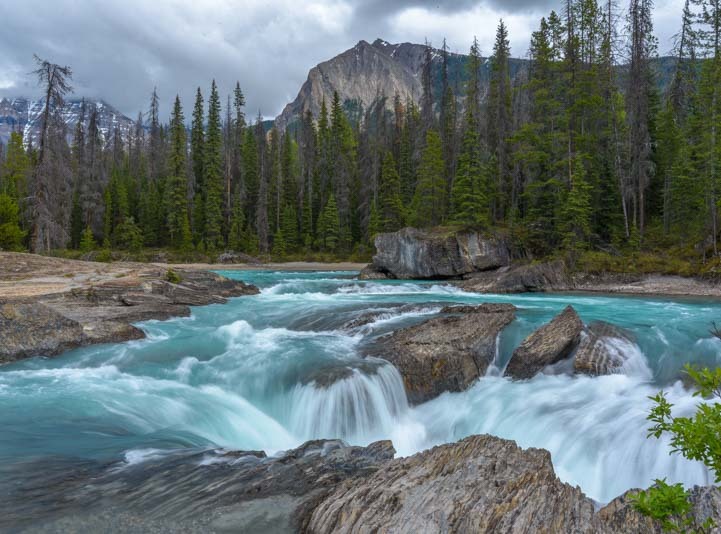 What we saw yesterday in the Canadian Rockies!! Dream Big and Go for it!! Congrats! We enjoy reading your blog and looking at all the great pictures. Wishing you many, many more years of happy journeys — wherever the road may lead you. We are so excited to experience the freedom you speak of, to learn all of these new skills, to meet interesting people, and to face a whole new set of challenges head on, but obviously, it all comes with such trepidation. We’re giving up all of our comfort and security for the great unknown and just hoping it all comes together. While we have always loved the outdoors, we’ve never owned an RV and are just jumping in with two feet. Crazy, I know… But when we decided we were gonna really LIVE our lives, we decided there was only one way to do it. Jump! It’s incredibly helpful to read about people who have done what we want to do and who love it and who keep at it year after year. Your website has been an endless source of great information and tips and this article will definitely be marked as a favorite. Thank you so much…and here’s to another 9 years! Congrats, Laura, on taking the plunge to live your dreams, and best of luck on your launch next month. Have a blast in your new lifestyle. We’ve loved it and I’m sure you will too! Hi Emily!thank you for sharing your dreams with us..seems when I need a boost you show up! !in calif..heading towards Oregon this week!! Alone can get lonely but still sweet.. This is my 7th month out!! Also I noticed that you and Mark look so much happier and healthier in the latter picture..jus sayin? Thanks for the compliments and good wishes, Jennifer. These trails are very happy for us! Enjoy California and Oregon and congrats on 7 months going on 8!! !